“Dancing High,” KBS’s new dance competition show for teens featuring singer Lee Gi-kwang and Hoya as judges will start airing Friday at 11 p.m. The dance show will give a rare platform for teen dancers to show off their dance skills and receive recognition for their talent. It will also seek to break negative stereotypes about young dancers in Korea, according to the show’s producer Lee Seung-gun, pointing to the widely held prejudice in Korea that dancers are delinquent teens. The new series will compete head on with Mnet’s rap competition show “Show Me the Money,” as both shows will air at the same time every Friday from this week. “It’s going to be a fun show. I hope viewers can look back on their youth and the show can help break the stereotypes about dancers,” singer Lee, who will coach a group of seven dancers, said during the press conference earlier in the day. The talented 35 contestants, chosen from 3,112 applicants from across the nation, will compete as four teams on the show for the chance to receive a cash prize and a dance training program in the US. 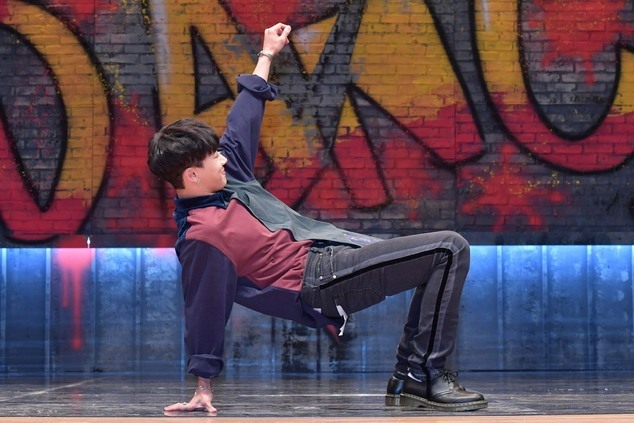 Lee Seung-gun told the press he was inspired by the dance videos by teen YouTubers and that South Korea had a big dance scene that deserved to be covered in the media. The producer added that viewers would see teen dancers mature and improve on camera. He added he hopes viewers take away something meaningful from watching young people who follow their passion. “They aren’t just teenagers but also talented dancers. Their dance alone will be entertaining enough to tune in,” said Hoya, one of the coaches on the show. Dance group Just Jerk, who will also coach the contestants, said teens were the future and despite having refused to appear on other dance competition shows, they said they agreed to appear on “Dancing High” in the hopes of improving the environment for young dancers for the better.